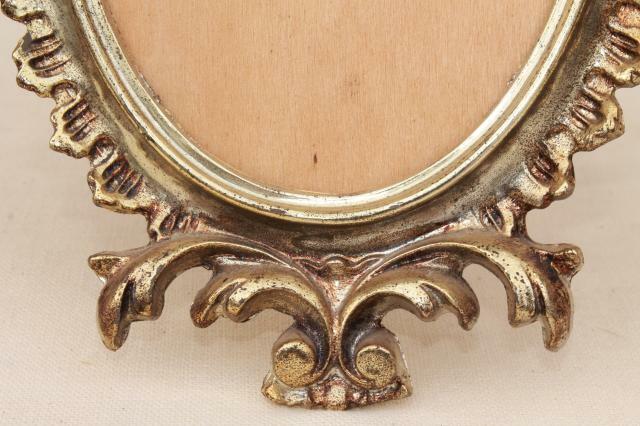 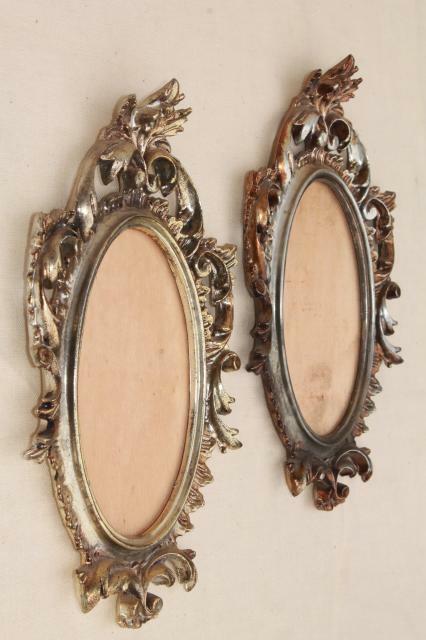 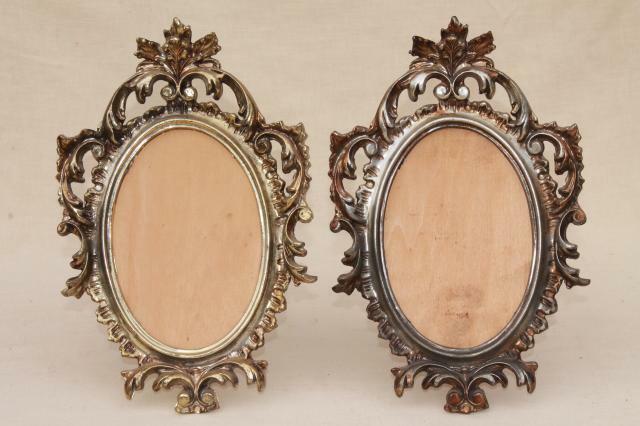 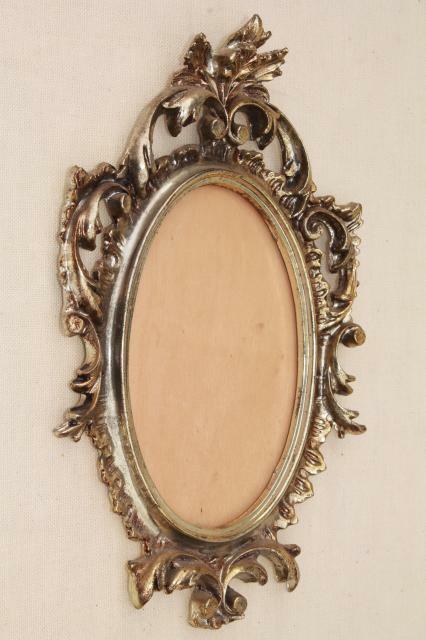 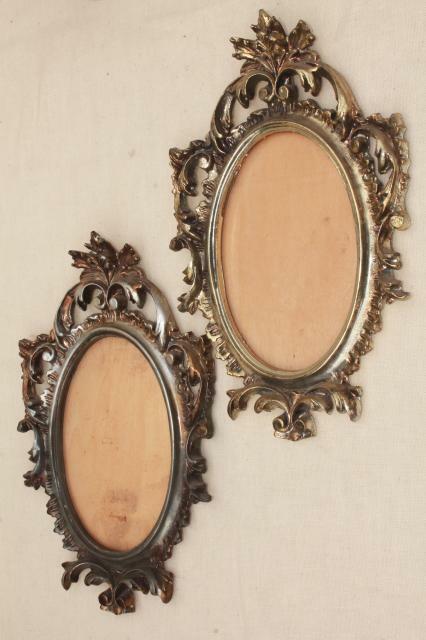 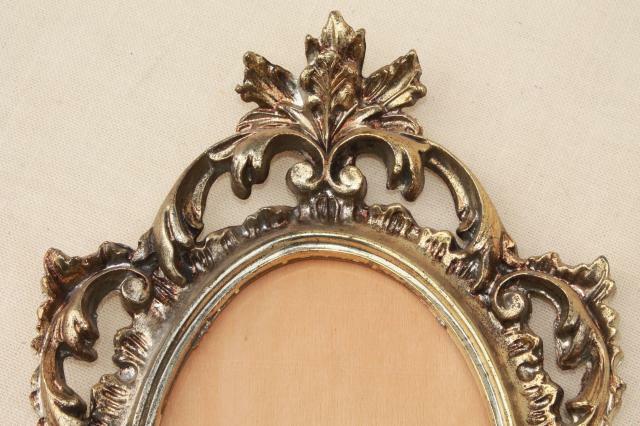 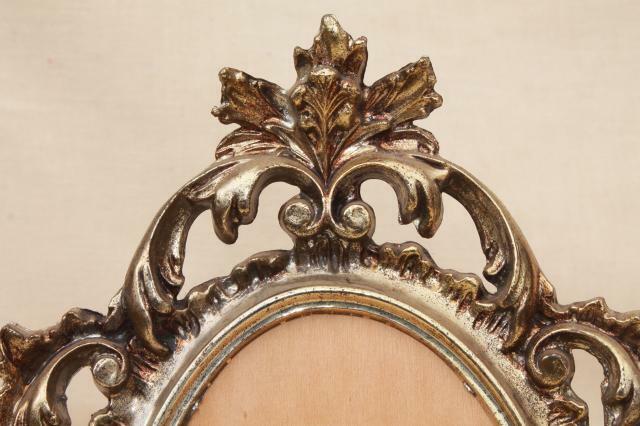 Pair of shabby rococo plastic frames with worn original gold painted finish. 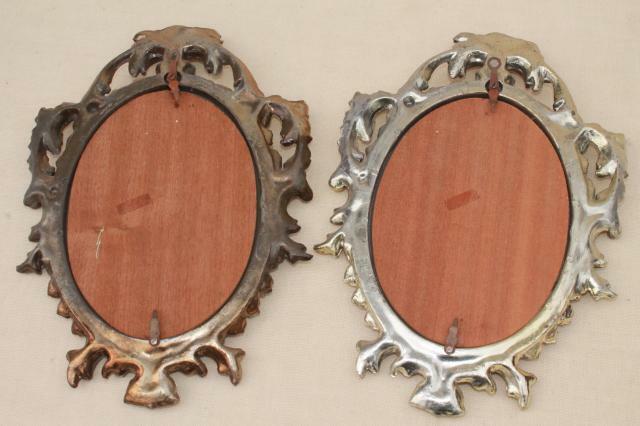 These are made in Italy, 1960s or 70s vintage. 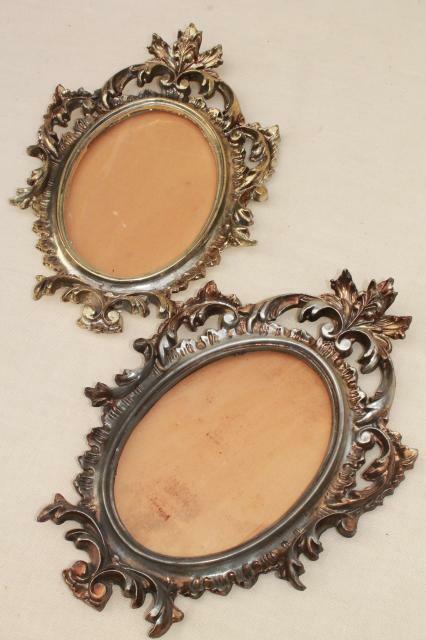 There's no glass in either of these pieces - they'd be lovely with mirrors or pictures, or as sign frames. 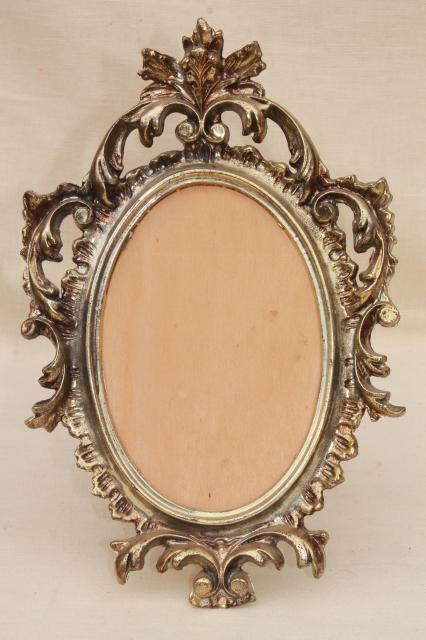 Size is 11 1/2" long top to bottom, openings about 6 1/4" x 4 1/4".